We dug through the neighborhood archives and unearthed the very first Edgewater Glen Plant Swap flyer and included it below. Inspired by the annual Edgewater Glen Garden Walk with its ‘world of plants and the magic that they can bring to even the smallest of urban yards’ Norwood neighbor Tom Brennan organized our first plant exchange on Sept. 21, 1991 in the park at Greenview & Elmdale. The plant exchange was so enthusiastically received, that it was quickly expanded into a twice-a-year event, spring & fall, and moved to Tom’s plant-filled yard. When Tom had to leave Edgewater Glen in the late 90s, Sue Green and Kim Kaulas continued the neighborhood tradition of bringing beginning-to-experienced gardeners together to meet & share horticultural treasures, gardening paraphernalia, and socialize. This year’s 26th annual Edgewater Glen Spring Plant Swap will be tomorrow, Saturday, May 27th, between 10:00 am-12:00 pm, in the back yard at 1420 W. Glenlake (weather permitting). It is a great time to divide & transplant perennials like hostas, ferns, ornamental grasses, or any other plants you’d like to share. Gardening paraphernalia is welcome too. Even if you don’t have anything to share, head on over there & meet your gardening neighbors. They usually have leftovers that need a home. For more info about the plant swap, you can contact Kim Kaulas at kaulas@rcn.com or 773-368-3949. The Edgewater Environmental Sustainability Project is providing $100 grants to residents for material expenditures for pre-approved Edgewater parkway corners and circles. The $100 grant is for the purchase of soil amendments and plant materials. Your grant will be paid upon installation confirmation and submission of material receipts. Landscape consulting services will be available at no charge to grant recipients from: Kim Kaulas Inc., www.kimkaulas.com. 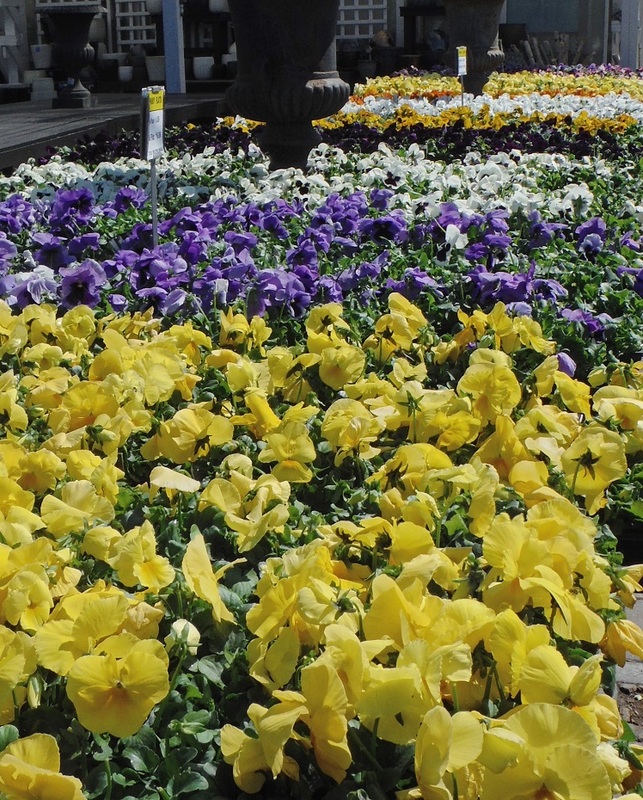 From the Neighbors: The Pansies Are In! The sooner you plant these cool-season annuals in containers or in the ground, the longer you’ll enjoy their cheery show. Come mid-June or so they’ll start to languish in the heat and it will be time to switch in summer annuals. Plant them close together for maximum impact, deadhead spent blooms, and fertilize for quicker reblooms. Very cool. The 48th Ward Office just announced free rain barrels for everyone*. We’re guessing they might not be as vintage as this whisky barrel… but if you are interested in doing your part to help prevent some of the gigantic puddles that appear in the neighborhood after a rainstorm, by all means fill out this form and send it in! “The 48th Ward is excited to announce our new rain barrel program. In collaboration with the Metropolitan Water Reclamation District and the Edgewater Chamber of Commerce, we are now offering free rain barrels to our *qualified residents. 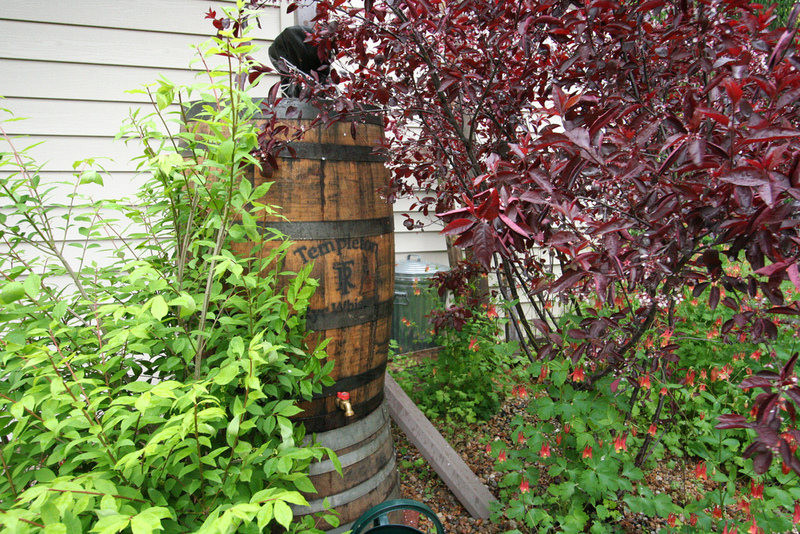 Rain barrels provide a storage space for rainwater from roofs and save it for when you need it. By keeping rain on properties and out of the sewer systems, rain barrels are a green way to revitalize Chicago’s stormwater reclamation procedures. Curious about urban farming in Chicago? Growing Home will be having an event in the neighborhood with farmers from Uncommon Ground, Growing Home, and FarmedHere on Thursday, July 30th. If you are interested in learning more about organic farming in the city, it looks like they will be having a cocktail hour up on the rooftop garden at Uncommon Ground, followed by a panel discuss downstairs. 6:00pm – 7:00pm: Socialize and snack under the sun on Uncommon Ground’s award winning rooftop organic farm. Enjoy passed vegetarian appetizers featuring organic produce from Growing Home, Farmed Here, and Uncommon ground, and wash it down with local organic beer from Uncommon Ground’s own Greenstar Brewing. 7:00pm – 8:00pm: Head downstairs to learn about Chicago’s organic farming landscape from the farmers themselves. Monica Eng will moderate a discussion panel featuring organic farmers from Growing Home, Farmed Here, and Uncommon Ground to examine the intersection between organic and urban farming and their potential to change local communities. WBEZ and Chicago Tribune’s top food expert will moderate a discussion about the intersection of organic and urban farming in Chicago. One of the nation’s greenest restaurants boasts Chicago’s first organic rooftop farms. Our very own Farm Enterprise Director will join the panel to represent our high-production organic farm with a social mission. Chicago’s sustainable indoor farm is transforming the way local and organic produce is grown and distributed. This is pretty cool. We got our first neighborhood DIY project in from the neighbors. Spring is right around the corner if you want to get this in before you start planting your garden. Thanks for sending this in Jason! “If your house is like ours, the chainlink fence goes right along with the aluminum siding and the interior wood paneling. 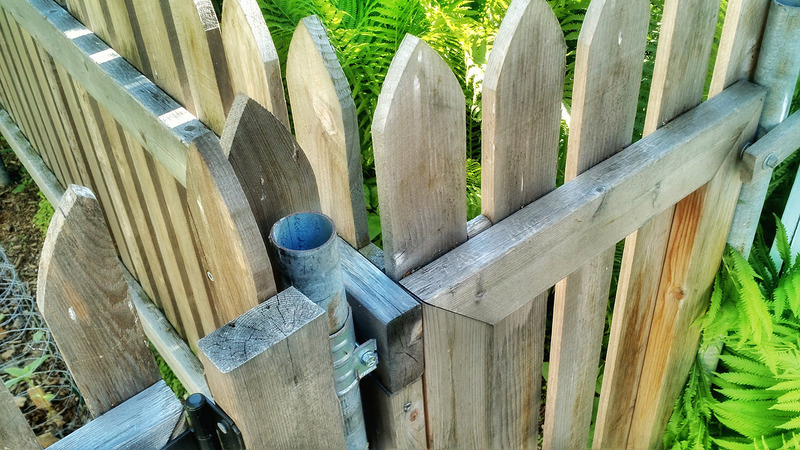 Your fence may be a good place to start for an upgrade. You might consider rehabbing your galvanized chain link fence with cedar for a more decorative look. You can reuse your fence posts and convert the fencing to cedar pretty easily using some post clamps and lumber. It is great to reuse the metal fence posts because they won’t rot and are probably nicely settled with concrete bases. If you are interested in moving from chainlink to a wood fence, here are some things to consider. Do less fencing: Talk with your neighbor and consider not fencing along dead spaces along garages or outbuildings. Low is good: Replace a four foot fence with a four foot fence. Good neighbors deserve good fences and you can always “build up” any privacy areas you need near decks, sunning areas, hot tubs, whatever. Good neighbor gate: You might consider putting in a gate where the fence would run up against a neighbor’s outbuilding or at a corner. A nice private gate on the inside of your yards can be a big convenience for your backyard summer BBQ parties. Go Cedar: If you are considering wood instead of chainlink, use good cedar pickets and cross members. Home Depot generally has dog eared pickets /–\, Menards does arrow top pickets /\. Choose a picket style that matches the other fencing in your part of the neighborhood. Measure your posts: Corner posts may be larger than interior posts. Make a note when ordering post clamps. A typical Edgewater Glen fence that is about 85 feet comes to about $6.50 / linear ft. A fence this long takes a day or two depending on if your neighbors want to help out. 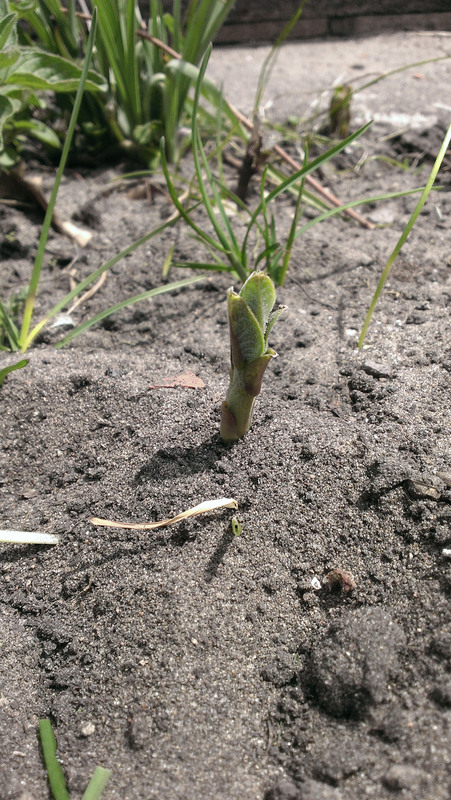 The Edgewater Glen Association will be collecting and redistributing milkweed seedlings to all the neighbors at the Edgewater Glen Plant Swap this year (May 23rd, 10:00-12:00 weather permitting). If you have milkweed seedlings in your yard and would like to help redistribute this valuable Monarch Butterfly habitat throughout our neighborhood, come on out and meet your neighbors at the Plant Swap this month.